One of the reasons many feel resistant to the idea of addiction recovery is that they just do not know what to expect. Making such a major life change can be scary, and entering an inpatient rehab does require that you get out of your comfort zone. One of the best things for overcoming any fears you have about a recovery programme is information – if you know what to expect, it means that the process will be less of a step into the unknown. 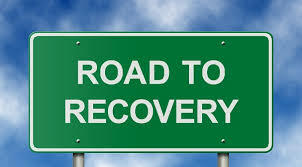 Below are just 10 things you are likely to experience when you enter a recovery programme. The best thing about getting sober is you get your feelings back – the worst thing about getting sober is you get your feelings back. One of the effects of substance abuse is that it reduces your ability to feel anything because these drugs numb your emotions. When you get sober, your emotions begin to waken, which can a bit of rollercoaster ride; you will likely have times when you feel incredibly happy, but you will also have times when you feel uncomfortably low. Your emotions will stabilise over time, but it is important to be prepared for some initial bumpiness. One of the reasons individuals drink or use drugs is because it can be a way to escape negative emotions. You pay a high price for this escape, meaning that you lose your ability to fully experience happiness. If you want to be able to know real happiness then you need to stop trying to escape your emotions and instead learn how to manage them; one of the important things you learn in rehab is how to do this. What happens when you become caught up in addiction is that your brain tries to rationalise what is happening, and it does this by using certain cognitive filters. This means that a lot of the stuff you currently believe is likely to be wrong – for example, you may be convinced that you need to drink or take drugs in order to be happy. Your ability to let go of these false ideas will determine how well you do in addiction treatment. It is common for people in early recovery to experience feelings of guilt about things that have happened in the past. This sense of remorse can be dangerous if you allow it to take over your thinking. It is vital you understand that by committing to sobriety, you are already doing the best you can to make up for the past. These feelings of guilt can actually be part of the addictive thinking that is trying to trick you into relapse. This is why it is so beneficial to stay in rehab during early recovery as you can discuss your guilt with therapists during group therapy. Escaping addiction is an incredibly joyous experience, and you are likely to have days when you feel happier than you ever remember being before. This joy is there to be enjoyed, and you deserve it, but it is important to be aware of the dangers of pink cloud syndrome. This occurs when you become so high on sober living that it puts your sobriety in danger. This would happen if your feelings of happiness meant you started to question the seriousness of your past addiction problems. There can also be a real feeling of disappointment after the pink cloud period ends, with some people using this as an excuse to relapse. You should not be afraid to experience the joy of recovery, but just be aware of the potential dangers of the pink cloud. You are likely to experience feelings of resistance at least once or twice during your time in a recovery programme. This could happen because the therapist suggests you do something that you just do not want to consider doing. It can also happen if you are engaging a programme such as the 12-steps and you come across a step that you do not want to take (for example, making amends). How you react to this resistance can be a turning point in your recovery; if you fail to overcome it, you could become stuck. Of course, there will be things that are just not right for you, so it is always important to reflect on the nature of your resistance and ask for other opinions. It can come as a huge shock when you realise how much of your life you have lost to addiction. When this realisation hits you, it is easy to feel overcome by regret. The reality is that what is done is done, and the important things are what you do with your future – do not let these feelings of regret stop you from creating the better life that you deserve. If you commit fully to sobriety, there will be a day when you do not regret the past at all because you see that it helped you get to where you are. One of the expectations placed upon you when you enter a treatment programme is that you are willing to be honest. It means opening yourself up to a degree that you might never before have been willing to do. You are only as sick as your secrets, so you are likely to find yourself sharing things that you never believed you would tell anyone else – this is good. If you are unable to be completely honest during your stay in rehab, you are unlikely to get much out of the experience; at the very least, you need to be completely willing to be honest with yourself. Maybe you have believed that if only you could give up alcohol or drugs, your life would be perfect. One of the things that you are likely to find when you get sober is that there are many character flaws getting in the way of your happiness. The job of recovery is to begin chipping away at these defects of character; the more you do this, the happier you will become. It is important to keep in mind that the goal here is progress and not perfection – this is the work of a lifetime. It is common for those who fall into addition to experience feelings of self-loathing. This negative inner dialogue is due to low self-esteem and can be a real threat to your sobriety. The way to overcome this self-loathing is by developing some self-compassion and building up your self-esteem. During your time in rehab, you will begin to do some of this work. Alcohol and drugs destroy you physically and mentally, but one of the nastiest things it can do is steal your dreams. By getting sober, you will begin to have hope for the future again. You will understand that it will be possible for you to create something wonderful in the future if you do the right things. By entering a treatment programme, you get the opportunity to not only pick up tools that allow you to stay sober, but also tools for successful living.